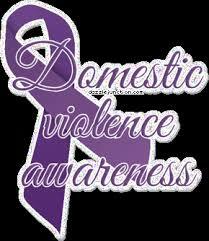 The month of October is set aside for Domestic Violence Awareness. Yes, it is also unfortunately Breast Cancer Awareness Month, which draws a lot of attention away from DV awareness. Lets not let that stop us my friends!! Women in the US have a 1 in 8 chance of getting breast cancer but a 1 in 4 chance of having domestic violence in their lifetime. get family and friends together to collect items they need like travel size toiletries, clothes for women and children and/or children’s toys. volunteer – you could work at their 24 hour call center, in their office or at their clothes bank. Take a selfie or group photo and share why and how you are standing up against domestic violence. Use our printable sign http://ncadv.org/TAS%20placard.pdf and hashtags ‪#‎tasncadv ‪#‎STANDwithNCADV ‪#‎takeastand and we will add you to our twitter feed, Facebook and Pinterest. Email your photos to mainoffice@ncadv.org. Share what you have already done or are doing to stop domestic violence on our Facebook wall:(www.facebook.com/supportNCADV) or post to your own social media with our hashtags ‪#‎NCADV # #takeastand #STANDwithNCADV. Contact your local media and lawmakers by calling, emailing or sending them a letter asking them to be aware and work for change. You can use our statistics at: http://www.ncadv.org/learn/statistics to support your message. Wear Purple and tell everyone why! Mobilize your network and hold your own event. Use these resources: http://www.ncadv.org/takeastandmain/get-involved. Then, share your event with NCADV on social media using these hashtags #tasncadv #takeastand #STANDwithNCADV. Send us your event information (when, where, date, time, and link) and we will post it to our national event listing page. Donate online to NCADV.org or at Mobile Cause by texting #takeastand to 41444 to help give domestic violence victims a voice! I pray we will do the same. May He bless you in the month of October and always.